Your furniture is one of your biggest investments. So choosing who to do your upholstery cleaning is no small decision. Fresh Look professional technicians are specially trained in the care of all fabric types, even the most delicate, so you can feel comfortable in knowing they’ll choose the proper upholstery cleaning solution for your furniture. And using specially designed tools to gently clean folds and crevices, they’ll ensure the entire piece is entirely clean. What’s more, you can count on Fresh Look to do the job right. Satisfaction guaranteed. Your furniture is as important to a room’s appearance as your carpet. That’s why Fresh Look uses the same process for upholstery cleaning that we do for carpet cleaning. Our exclusive upholstery cleaning system includes a specially formulated pH-balancing fiber rinse that removes cleaning solution residue right along with deep-down dirt – leaving nothing behind but clean fabric and furniture. When our professionally trained, insured carpet cleaning technicians arrive at your home, they start with a pre- inspection to identify problem areas. One of our special upholstery cleaning solutions is applied to the fabric to loosen embedded dirt. It’s followed by a thorough rinse and extraction step to remove the dirt along with the cleaning solution. We then recommend an application of UltraCare Carpet and Upholstery Protector (optional). Reapplying the fabric protector helps restore protective properties to your furniture, extending its life and making it easier to care for. Fresh Look Carpet and Upholstery Care recommends and uses UltraCare Carpet and Upholstery Protector. Reapplying the fabric protector helps restore protective properties to your upholstery, extending its life and making it easier to care for. Pleasant beats pungent any day. And tough upholstery odors are no match for Benefect designed to attack odor- causing organic sources. the all-natural Benefect Sanitizer eliminates odors from urine, feces, vomit, sour milk and more by actually digesting the organic matter that’s causing the smell – leaving your furniture smelling good again. 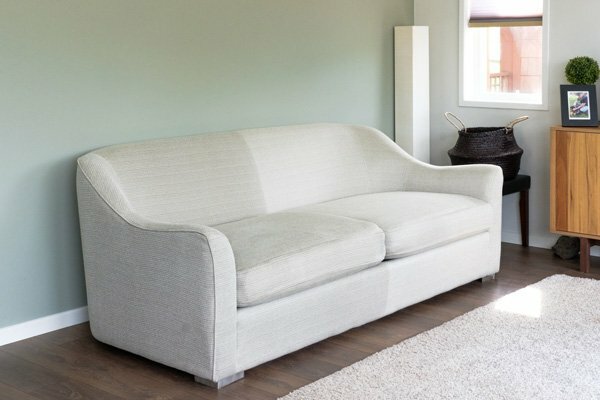 We have great deals in upholstery cleaning. Our upholstery cleaning services help you maintain the beauty, appearance and softness of your upholstery. You can keep the pieces for many years longer thanks to our professionally trained upholstery cleaners.